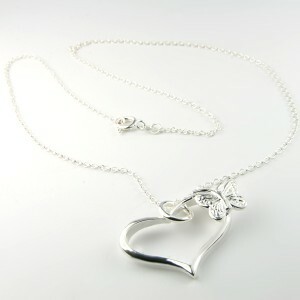 Very carefully crafted heart&butterfly pendant, double silver plated chain. Beautiful and romantic pendant for your very special event. Perfect combination of semi-precision stone and silver.